This is the first in a series of posts about cool things with inter­change­able parts. What? The first time I shaved, I used a cheap dis­pos­able razor that I hap­pened to find in the bath­room. I was 15. These were dread­ful, by the way. I didn’t know any bet­ter at the time, and I didn’t learn any bet­ter for a while. It was easy to just keep using pro­gres­sive­ly bladier multi‐blade car­tridge mod­els. Two blades to start, then four after a cou­ple of years. I stuck with four long after the world had moved ahead, but I soon caught up with the whole five blade deal. Clear­ly my razor wasn’t the only tool in the bath­room. I’d hear mum­blings from oth­er men about bet­ter ways to shave, but the thought of my moth­er scold­ing me because I cut my throat open because I was using a dan­ger­ous razor still loomed large in my otherwise‐independent adult brain. I was in my mid‐20s by that point, but I’ll nev­er out­grow that sort of thing because she’ll nev­er out­grow not let­ting me hear the end of it if some­thing goes wrong. It’s a good thing I didn’t lis­ten to hypothetical‐her (sor­ry, mom) because if I had, I wouldn’t have picked up my first double‐edge razor a cou­ple of years ago. Double‐edge razors are also known as “safe­ty razors” because they were a heck of a lot safer than those big, scary straight razors that were com­mon before them. 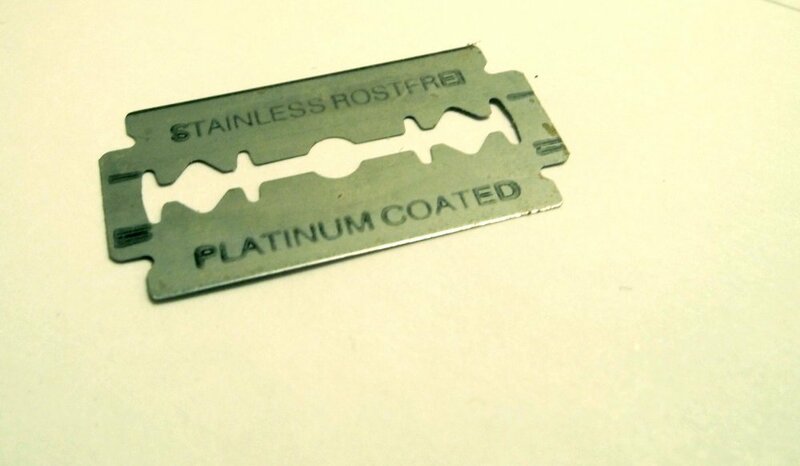 It may seem iron­ic today, because it’s def­i­nite­ly eas­i­er to cut your­self with a double‐edge than with a car­tridge razor, but you know what else is eas­i­er to cut with a double‐edge? The hair on your face. Which is what mat­ters. Shav­ing with one of these sharp thin­gies requires you to take it slow, but that’s alright. I use a double‐edge razor because1 I find them to be more effec­tive, lead to less skin irri­ta­tion and few­er ingrown hairs, and over the long run, actu­al­ly be cheap­er. It’s also nice that shav­ing this way leads to a lot less waste to be thrown away. It was only after I began shav­ing with one for the rea­sons above, that I real­ized anoth­er ben­e­fit: I’m shav­ing with an open sys­tem of inter­change­able parts. 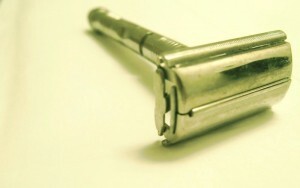 Since safe­ty razors have been around since the very ear­ly 1900s, any patents on the sys­tem have long‐since expired. That means that any­one can cre­ate han­dles or blades that are com­pat­i­ble with every­thing else avail­able for the sys­tem, which leads to a wealth of choice for both han­dles and blades… which of course means low prices. What excites me much more than the poten­tial for sav­ing mon­ey (sor­ry again, mom) is the poten­tial for cus­tomiza­tion that such an open sys­tem allows. Basi­cal­ly, I can pair any razor designed for this stan­dard—fat han­dles, skin­ny han­dles, short han­dles, shiny ones, douchebag ones, ones from the future, uh, this one—with any blade that I want. This means I can sep­a­rate the style from the sub­stance; I can pair my favorite han­dle with my favorite blade and have what is, to me, the ulti­mate shav­ing machine. If you perused those Ama­zon links above, you’re prob­a­bly won­der­ing what’s wrong with my idea of “cheap.” Well, the double‐edge razor turns the razor and blades mod­el on its head; in this world, the han­dle is the more expen­sive item, with $30 US not being unusu­al for the more com­mon brands. 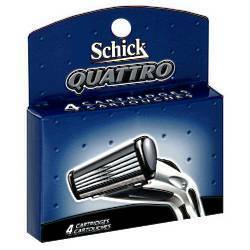 How­ev­er, this buys a qual­i­ty met­al instru­ment that will like­ly out­live you… and you def­i­nite­ly make up for it with the blades — 10¢ or 20¢ blades are com­mon! The double‐edge shav­ing sys­tem isn’t going any­where. While it’s obvi­ous­ly less pop­u­lar now than it was in its hey­day (but so were fedo­ras, and cool guys still wear those), we know how the Inter­net changes things; retail­ers can use it to sell obscure prod­ucts to weirdos every­where, the kind of things mass‐market brick‐and‐mortar loca­tions would nev­er both­er stock­ing on their shelves. I don’t mind buy­ing online and wait­ing a few days, so I can have any blade I want deliv­ered to my door. Cheap­er, bet­ter and ulti­mate­ly, more inter­change­able. That’s why I shave like this. I had no idea an inter­change­able parts mar­ket for shavers even exist­ed. Inter­est­ing stuff. I’m lov­ing this series so far and look­ing for­ward to the next entry! Next Next post: You know what you need?